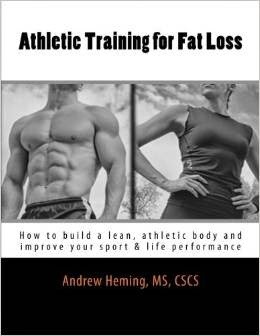 Andrew Heming's Blog: Build Muscle with German Volume Training? 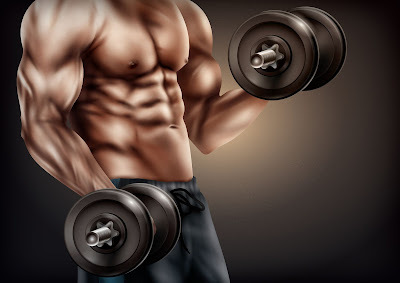 Build Muscle with German Volume Training? Do you want to shock your muscles into some new growth? What to try a completely different way to train? If so, German Volume Training might be just what you need. While popularized by Charles Poliquin in his writings in the 90’s, this style of training came from German National Weightlifting Coach Rolf Feser in the 1970’s. This style of training has also been used by Vince Gironda. The big question is, does it work? Recently, the Journal of Strength & Conditioning Research published a study German Volume Training. Is it all it is cracked up to be? Let’s find out! Research on hypertrophy and volume shows greater results using multiple sets than single sets. However, research has also shown that while some volume is good, more is not necessarily better. There seems to be a cut-off point around 4-6 sets. The researchers in this study wanted to compare the traditional German Volume Training protocol of 10 sets of 10 reps to a modified version of the program with 5 sets of 10 reps. While both groups increased muscle size and strength, the 5 set group made better gains. Too many researchers these days take the lazy way out and do research that is done in one day and simply measures things like blood work, hormone levels or activation. While these are nice and do help us understand what is going on, they are nowhere near as valuable as an actual training study. What matters to the strength coach, athlete, and fitness enthusiast is what works to build muscle. 19 total subjects is not that many. This makes it harder to account for individual differences. The greater the number of subjects, the easier it is to differentiate the norm from the outliers. While this may not seem like much time, I think this is an appropriate length of time for this kind of training. You don’t want to do high volume training for a long time. While the programs used in the study are similar, they are different than Coach Charles Poliquin’s German Volume Training Routine (e.g. days per week, exercise selection – squats, order, tempo). Would the results have been different/better with his routine??? While the subjects were a far cry for the elite Weightlifters on the German National team, they were the typical newbies used in most “training” studies. The subject had to have 1 year of experience and had to have trained consistently for the last three months. This obviously begs the question: would the results have been different with more advanced lifters? Generally, more advanced folks can handle a higher volume of training. Body composition was measured with DEXA (the gold standard) and muscle thickness was measured with ultrasound imaging. Training to build muscle is not very useful with appropriate dietary changes. While this is not a metabolic ward study (where they lock you up in a ward and can accurately measure everything you do and eat), they analyzed the subjects diets, showed them how to increase their calories by 1000-2000 and gave them a post-training whey protein shake. Does this mean that German Volume Training is bad? Not necessarily. The key takeaway from this study is that while volume is a good thing and important for muscle hypertrophy, you have to be careful. Too much of a good thing is not a good thing. The key with volume is finding the right amount. Too little volume and you will fail to build muscle. Too much and you will burn out, not bulk up. For more on volume and hypertrophy, check out the article I wrote for JMAX Fitness: Low-Volume Muscle Building: The Key to Explosive Muscle Growth? Know your body. Some people do really well with high-volume training, others do better with a much lower volume of training. If you are the former, you will love German Volume Training. If you are the latter, this is not the program for you. The program showed that German Volume Training works. However, it showed that fewer sets (i.e. 5) worked even better. Do the amount of work you need to do to get good results, but don’t bother doing more than you need. Some folks love and seem to thrive on high reps. Others do better with low reps. If you have been training for a while, think back to different rep ranges you have used in the past. What worked and what did not work for you? Also, think about what you are natural strengths and weaknesses. If you were to join a track and field meet, what events would you excel? (E.g., sprints/jumps/throws, middle or long distance). If you are more of a slow-twitch high-rep person, you will like German Volume Training, Personally, I’m naturally more of a low-rep guy. For most exercises, high reps make me smaller and weaker. For me, the 10x10 with 60% 1RM (or 20RM) German Volume Training is just too light. Yes, I know there is research showing that light weight, high rep training can work, but I know it doesn’t work for me. If you are more low-rep wired, you could try the 10 sets of 6 version. Although not technically German Volume Training, I like structures such as 10 sets of 3 or 5 reps.
One aspect that we often overlook in training is personality. With personal and online clients, I consider their personality type I write their training programs. Some people love and thrive on variety. Doing one exercise with 10 sets of 10 reps would bore them to tears. Other folks only care about results and can do even the most boring programs as long as they work. High volume training is very draining. If you are in the middle of final exams, an accountant in tax season, a sleep-deprived parent with a newborn or in some other really stressful time of your life, save German Volume Training for another time. Exercise selection is a hugely-underrated training variable for hypertrophy. You have the best combination of all the other training variables (e.g. sets, reps, etc. ), but not much will happen if your routine is full of inferior exercises. This style of training emphasizes 1 main exercise per muscle group. This eliminates the option to pick ineffective exercises. However, because you are only doing 1 major exercise per muscle group, you had better choose wisely young grasshopper (read this Kung foo master accent). Killing yourself to do 10 sets of 10 with a back squat won’t help much if are not structurally suited to the lift. If you give this program a try, be sure to pick The Best Exercises for Building Muscle. One of the best ways to spark new muscle growth is to take a different, but equally effective approach to what you are currently doing. If you have never tried German Volume Training before, it may be the shock you need to get growing again. How about you? Have you tried German Volume Training? If so, I would love to hear your feedback on it. As always, I welcome your questions and comments (but no spam please) below. Thanks for reading and for your comment Carmella! I do a modified version of GVT. I do 10 Sets Of 5 Reps with about 75% 1RM.